LoadStar Trailers Can Handle Your Workload! Check out this video for proof! Main Gooseneck, Deck and Rearbridge Material is Quenched & Tempered 100 ksi yield strength material and are fabricated at our facility. 3 year structural warranty and a lifetime wiring warranty. Our warehouse keeps a good supply of parts needed for the trailer operation and as a result we can assure you that we keep the production dates promised. 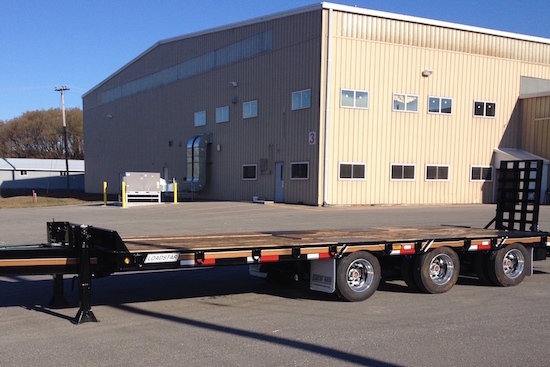 LoadStar Trailers Inc. have developed trailer solutions and custom designs for clients across the globe. From cunstruction, to agriculture, to mining, etc. 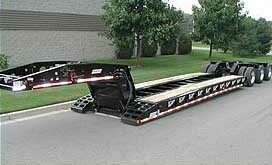 LoadStar trailers is there for you when you need a transportation solution BIG or SMALL (extremely big too!). Please check out some of our recent projects below to get an idea of what we're capable of. From our 20,000 sq. ft production facility, our tool & die makers, machinists, engineers & welders collaborate together from start to finish to build a superior product. Our products are CMVSS & FMVSS approved. LoadStar's products are backed by a full 3 year structural warranty and a lifetime wiring warranty. Our warehouse keeps a good supply of parts needed for your continued trailer operation. Watch a LoadStar trailer easily transport 60 tons of concrete 80m long! From our 20,000 square foot facility located in Port Hope, Ontario, Canada, we have shipped trailers as far away as Australia and service North American Markets on a daily basis. 2655 Lakeshore Rd. Port Hope, Ont. "What can I say - they are industry leaders, they know what they're doing!"